Physiotherapists who are Fellows of the Canadian Academy of Manipulative Physiotherapy (FCAMPT) have completed extensive post -graduate education in the area of orthopaedics and have achieved internationally recognized qualifications in hands on manual and manipulative therapy. Physiotherapists with the FCAMPT designation are committed to providing the highest level of quality, patient-centred care combining clinical experience with evidence based practice. Penny also commonly incorporates the use of Intramuscular Stimulation (IMS) into her treatment of many different types of acute and chronic injuries. She is the first physiotherapist to practice IMS in Victoria and has been thrilled with the results. 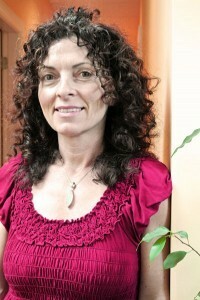 She has been been helping her patients with Intra Muscular Stimulation in her full time practice since September 2002. Penny has a keen interest in treating foot, achilles tendon and ankle problems. She has treated many amateur and professional athletes from all sports but sees many patients with dance, gymnastics, skating, and soccer injuries. She is always up for a challenge! Penny currently coaches girls competitive soccer with Bays United Football Club in Victoria. Penny and Shelbourne Physiotherapy are proud sponsors of World Cup Soccer Camp run by Brett Hyslop and Steph Steiner. Penny Salmas is a Certified Gunn IMS Practitioner. She was trained by Dr Chan Gunn at The Institute for the Study and Treatment of Pain in Vancouver, B.C. Penny is a published author and has attended dozens of post graduate Physiotherapy courses and seminars. Penny works closely with many Victoria General Practitioners, Specialist Physicians and Orthopedic Surgeons to help their patients achieve a full recovery. She is sought after for her thorough medical legal report expertise for complex post Motor Vehicle Accident ICBC cases. Penny Salmas is a member of the International Society for Medical Shockwave Treatment. Penny Salmas believes strongly in the health benefits of Clinical Pilates when patients are instructed by experienced teachers either privately or in small, highly supervised groups. To find out more about Clinical Pilates please visit the website www.pilatesvictoriabc.ca. Penny Salmas treats patients Monday, Wednesday and Friday at our main Victoria Physiotherapy, Acupuncture, Pilates & Massage Therapy Clinic located at 100B-3200 Shelbourne Street, Victoria, BC, V8P 5G8. She treats patients Tuesday and Thursday at our downtown Cook Street Victoria Physiotherapy clinic located at 308-1175 Cook Street, Victoria, BC, V8V 4A1. Unfortunately, Penny does not provide Physiotherapy treatment for WorksafeBC claims. Our experienced Physiotherapists have special training in areas such as Vestibular/Balance/Dizziness Rehabilitation, Pelvic Floor Dysfunction/Incontinence Therapy, Chronic Pain Treatment, Manual Therapy/Manipulation, Osteoporosis Treatment, Hydrotherapy rehabilitation, Sports Physiotherapy, Post operative knee rehabilitation, Real time Ultrasound, TMJ Problems, Clinical Pilates and Custom Knee Bracing. To book an appointment, contact us.